One of the best women in Islam to set an example for us in the characteristic of shyness was Asma bint Abu Bakr, ra. Who was this woman one may ask? She was one of the most noble women of Arabia. The sister-in-law of the best of mankind. Rasool Muhammad saaw, who named her “Thatun-Nitaqayn” (the one with two belts), for her heroic act during the Hijrah [migration] of the Prophet and Abu Bakr, from Makkah to Madinah. The sister of the most knowledgeable woman, ‘Aishah ra who is among the only seven Companions of the Prophet who narrated more than a thousand ahadith. The wife of az-Zubair Ibn al-‘Awwaam, one of the ten people promised Paradise by the Messenger of Allah (peace and blessings be upon him). Az-Zubair was brave, courageous and defended the Prophet (peace and blessings be upon him) with his sword. The mother of ‘Urwah, who when he entered in prayer he would forget about this life. It was ‘Urwah who when his leg had to be cut, was told to drink wine as an anesthesia but refused to drink wine and instead, gave instructions to cut it while he was in prayer. They did, and he did not feel anything until he woke up. Asma’ was one of the most noble personalities, yet was veiled and shy in front of men. She refused to be with men, mingle with them, ride among them or go with them – and by Allah, the men being talked about were no ordinary men! They were the Messenger of Allah (peace and blessings be upon him) and his Companions. She served her husband as a true wife should. She was very careful at guarding and preserving her honor, and the honor of her husband. Did she ever pressure az-Zubair by reminding him of her honorable lineage as the daughter of the noble Abu Bakr? She was patient for the hardship she went through, and was loving and respectful towards her husband. Can a woman be richer than Asma’? Her father, Abu Bakr, was a rich merchant. Yet, she carried stones of dates on her head, and walked miles to get water and date seeds. She also dealt with horses and camels [which she did not do in her father’ s house], baked bread, pleased her husband, yet would not take decisions without him, even if it were an obvious decision for the pleasure of Allah. MashaAllah sisters, the shyness and modesty and virtue of Asma ra is one we should all try to work towards in our own life inshaAllah. Let her life be a lesson to better yours for the sake of Allah subhana wa ta’ala. We should constantly encourage one another to be better tomorrow than we are today. 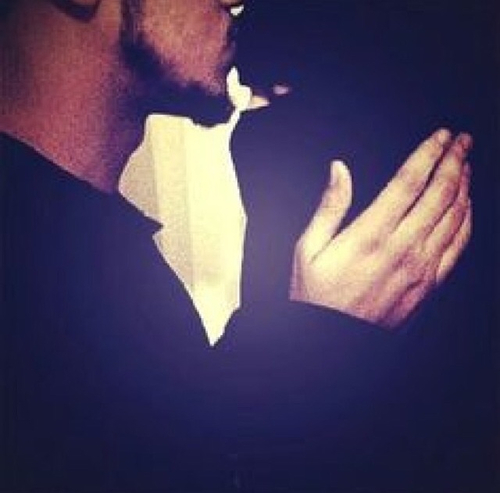 A woman should be soo close to Allah that her husband would have to search for Him to find her…. The story of Hajar (May Allah be pleased with her) gives all Muslim women an excellent example of deep faith in Allah. Hajar (May Allah be pleased with her) teaches us beautiful lessons that can be derived from her great character. She was truly a strong Muslim woman with such a strong character. When Allah has tested her she had this belief that Allah would not forsake her. When Ismail (alayhis salam) was still a small baby, his father Ibrahim (alayhis salam) took him and his mother, Hajar, to the site of the Ka’ba. He gave them some dates and a goat skin full of water and left them there. At that time no one lived at the Ka’ba, and there was no water nearby. As Ibrahim (alayhis salam) was walking away, Ismail’s (alayhis salam) mother followed him, asking why she and her son were being left in such a desolate place. She asked several times but he would not answer her. Finally, she asked if Allah had ordered him to do this and he replied that it was so. Upon hearing this, she accepted Allah’s will and returned to the site where Ibrahim (alayhis salam) had left her.